2602 sq. ft. 2 Story Home. 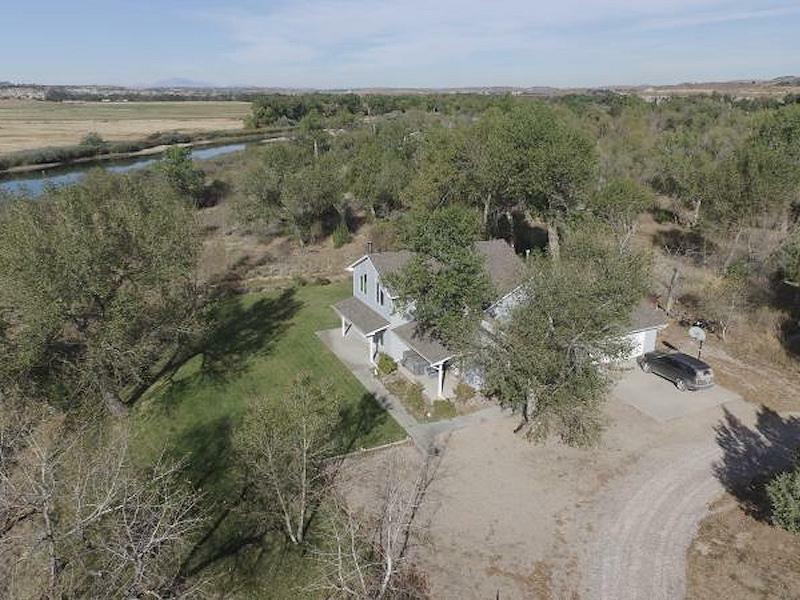 - 2 Story Home with North Platte River Frontage!! Enter the property through a tree filled lane, park like setting yard with beautiful landscaping, flowers and awesome views of the river! 15 Acres gives you privacy with room to breathe so one can take in all the serenity this property offers. Tall vaulted ceilings, plenty of windows with southern exposure brings in tons of natural light. Property could be one level living as the master suite and laundry room are on the entry level. Take a look today! !